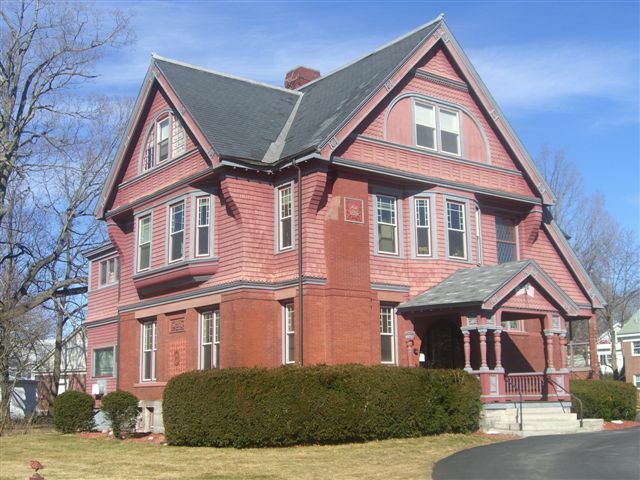 Welcome to our Home- The Dearborn House at 6 Concord Street was built in 1886 by Dr. Samuel Dearborn as a residence for his family. Located in Nashua's Historic North End, we are fortunate to have our office in one of the city's best known architectural landmarks. 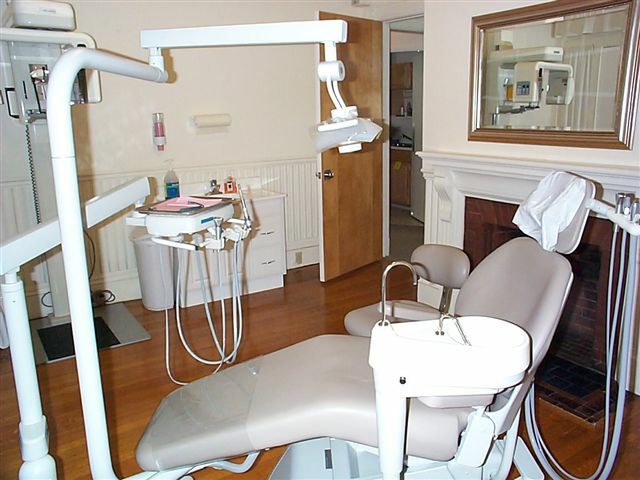 While many prominent area businesses have called this home, the Dearborn House has continuously had a dental office as a tenant since the 1920's. Our office is just a short walk from downtown and it is also convenient to all locations in Hollis, Merrimack and Hudson. Getting here is easy with plenty of free parking and a public bus stop right in front. We think you'll be amazed at the beauty of the Dearborn House both outside and in! Our first floor unit has been made handicapped accessible with the addition of an intricately well designed ramp leading in from the parking lot. 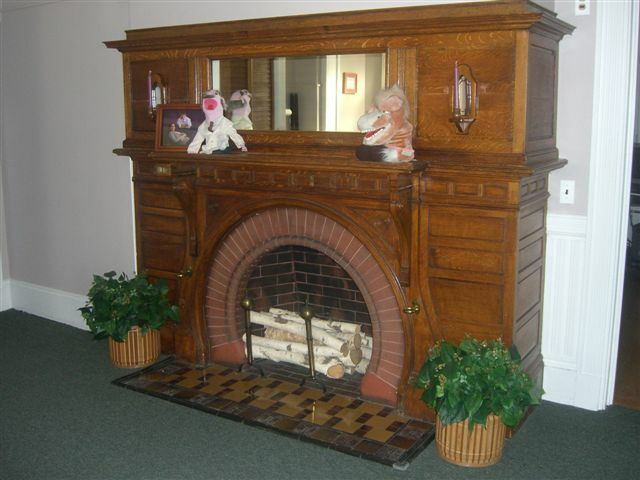 As you continue to explore the interior of our office, you'll find three hand-crafted wood-burning fireplaces originally used by Dr. Dearborn and his family. Although we are very proud of our office's appearance, the true heart of our practice is our modern, high-technology facility. Each treatment room is fully equipped with the latest innovations in dentistry that will make your treatment safe, comfortable, and long lasting. The operatory pictured here demonstrates our theme of "Modern Dentistry in a Victorian Setting". Note the beautifully maintained hardwood flooring providing a nice contrast to the clean, sleek look of our dental chair and delivery unit. As you look around, you will find countless examples of innovation and technology. We were one of the first dental offices in the area to convert to electronic medical records. 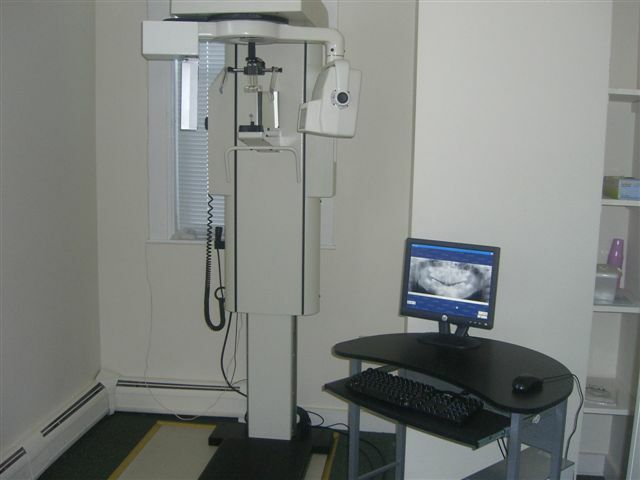 Included in this system is our exclusive use of digital xrays. This enables us to provide even better diagnostic capabilities with greater safety for you. Pictured here is our digital panoramic room, providing the doctor and staff with information to aid in the development of a treatment plan designed specifically for you. Our consultation and education center is where we really get to shine. The doctor and staff will review and explain all of the findings from your examination. Through the use of videos, charts, and diagrams, we will design a treatment plan to meet your needs. In keeping with our philosophy, every patient is an individual and should be treated as such. Most importantly, we will take the time to address your concerns and initiate your treatment only after all of your questions have been answered.